Theresa May is no stranger to race scandals. As Home Secretary she engineered the "Hostile Environment" policy that resulted in the wrongful detention and deportation of lawful immigrants (the Windrush scandal) and has since insisted it remain government policy. So it was no real surprise that 'Theresa The Appeaser' would invite a bunch of white male 'hard Brexiteers' for Sunday lunch at Chequers. 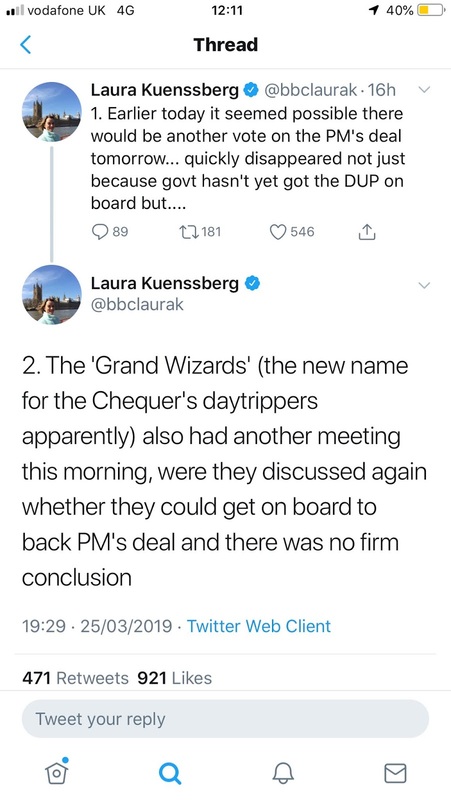 But it was surprising to learn that a mysterious "couple" of "insiders" now refer to said Brexiteers as the "Grand Wizards" - a title favoured by the Klu Klux Klan, the banned hate organisation that recently reared its hooded head outside a mosque in Belfast. What was shocking, however, is how we learned this, and the lack of any disclosure as to whether senior KKKConservatives are referring to themselves as leaders of a hate organisation - or what activity has led other "insiders" to use this specific title in relation to them. 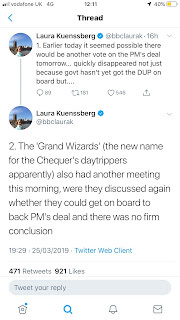 Laura Kuenssberg, the BBC's Political Editor, clearly had the inside story on the latest internal machinations of Theresa May's lunch guests and introduced the news of another meeting by stating that "The 'Grand Wizards' (the new name for the Chequer's (sic) daytrippers apparently) also had another meeting this morning, were (sic) they discussed again whether they could get on board to back the PM's deal...". An hour later, Laura claimed to have checked her Tweets and had a bit of rethink. Not much of one, though, because she made the situation worse by stating: "...for the avoidance of doubt, couple of insiders told me using the nickname informally, no intended connection to anything else". This demonstrates that the "couple of insiders" and Laura herself knew of the outrageous nature of the reference to the KKK generally as well as how it might be taken in this context. Yet there was no sense that she understood that this was itself newsworthy (as subsequent events are proving) - indeed what other journalists might well have considered a 'scoop'. Were the "couple of insiders" who informed Laura K of "using the nickname informally" in fact any of the Brexiteers themselves? (thereby neatly taking the opportunity to poke fun at the latter organisation and what it stands for - two dog-whistles to far right, white supremacists in one!). Sarah Vile Vine has since also Tweeted "In fairness, not clear that THEY have given themselves that name." [My underlining of the weasel words, her capitals]. In other words, it remains entirely possible that one or more of the hard Brexiteers have indeed given themselves that name - and we need to know whether that is the case. After all, it is well known that, despite being banned in 26 EU countries, the KKK and far right hate preachers are attempting to spread their twisted ideology throughout Europe. And the recent event in Belfast shows they are having some effect. To be able to guard against the spread of hate and racism we need to know whether the KKKConservatives - and the Prime Minister herself - are making the KKK welcome. And, indeed, if this is something the BBKC itself is happy to condone - or at least ignore - rather than stamp out. Our votes - and the BBKC's licence fee - depend on it. There's some confusion over whether the 29 March might still be "Brexit Day", but that is not legally possible. Article 50 of the Treaty of the European Union governs how member states may leave - by giving two years' notice. The UK gave notice, but couldn't agree a deal in that time, so asked for an extension. The European Council decision on 22 March approving that request is a legal instrument that immediately extended the leaving date under Article 50(3) to either 12 April or 22 May 2019 (on certain conditions which the UK agreed). 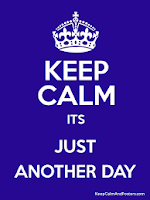 But even those deadlines could change - or disappear altogether. A withdrawal agreement is concluded with a different commencement date. If the House of Commons approves the withdrawal agreement in the week commencing 25 March 2019, the UK will leave the EU on 22 May 2019. Certain other conditions apply, but these are the new dates. 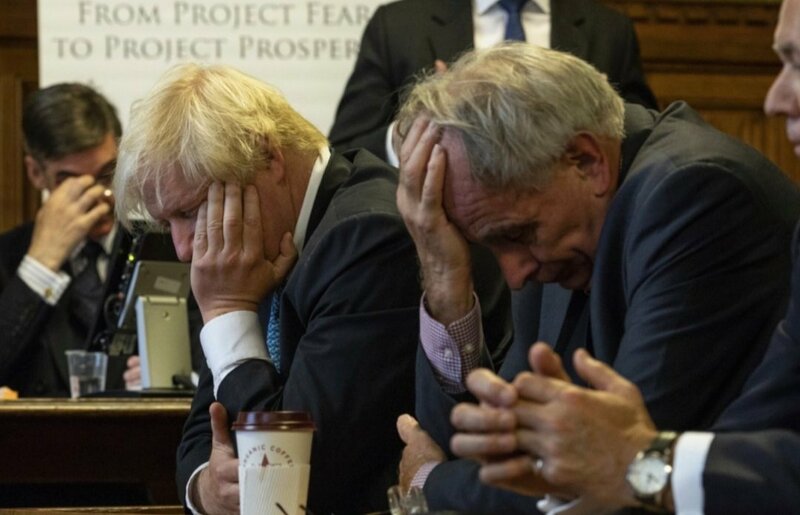 The Brexit saga is far from over. The UK Parliament has recently rejected both the UK's proposed withdrawal agreement with the EU and any potential 'no deal' scenario (which some refer to as 'trading on WTO terms'). Today, the government is asking Parliament to vote on whether it wishes the government to seek an 'extension' of the expiry date of the UK's "Article 50 notice" to withdraw from the EU, from 29 March to 30 June, which would require the unanimous consent of all other EU member states. This is both illogical and unnecessary. The European Court of Justice has already ruled, however, that the UK can freely withdraw its Article 50 notice at any time before midnight UK time (11pm in Brussels) on 29 March, without needing any consent from the EU member states, and without preventing it from giving another notice at a later date. An extension of the current Article 50 notice period is also pointless, since the EU will not negotiate the current 'deal' any further and Parliament will not allow a no deal situation. Relying on an extension to Article 50, which the EU has to agree to, is also surrendering the UK's sovereignty and control over the terms of any departure to the EU. 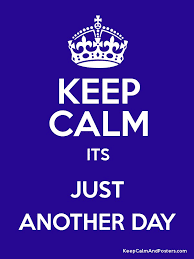 Revoking Article 50 is soley within the UK's control and allows it to determine the timing of any second notice it might wish to give in due course. Therefore, the only way for the government to deliver on Parliament’s “instructions” (a term that Theresa May likes to uses to refer to the non-binding EU referendum, so must accept when referring to ‘non-binding’ Parliamentary votes) in rejecting her 'deal' and ‘no deal’ is to revoke the Article 50 notice. The Prime Minister complains that Parliament only states what it does not want, rather than what it wants. Yet she repeatedly presents Parliament with the same choice between her 'deal' and 'no deal' when it has rejected both, and now wants an extension to do that again. She cannot have it both ways. There must be no extension and the Article 50 notice must be withdrawn. Another government can always try to muster support for Brexit at a later date, as the ECJ has said is permissible. Forever Blowing Debt Bubbles... When Will The Latest Burst? UK consumer debt hit new heights in July 2018, and hit a new peak in January 2019, while household savings are at historically low levels. I wonder if there's an event about to hit UK consumers that we should be concerned about...? Meanwhile, concerns about 'leveraged' corporate loans began circulating in 2018, and a fresh warning came from the OECD yesterday. Not only have companies with lower than investment grade credit ratings been borrowing a lot of 'cheap' money at low interest rates, but about 80% of such loans are also on terms that leave lenders much less protected than usual ('covenant-lite'). So if these less-than-investment-worthy corporate borrowers default, the proportion of loans recovered will be much lower than normal. Again, is there an event looming that might add to financial stress for corporate Britain...? Here’s another problem area: more Americans than ever are 90 days late in paying their auto loans, a trend now in its third year. Of course, auto loans are also securitised into ABS so investors can speculate on the performance of the underlying loans. The issuance of bonds based on auto loans hit a post-financial crisis peak in 2017 and kept going. Here’s what was said about the ABS market for auto loans a year ago - well before 90 day delinquency hit record highs. Brexit: WTO Terms Are The Chasm, Not The Bridge! Leave Means Leave campaigners like to say that "trading on WTO terms" is a "bridge" from EU membership to an EU free trade deal. Not true. But this helps paint a picture of exactly what Brexit really means. The WTO was set up in 1995 as a way for all countries to agree ways to trade more freely with each other ("trade deals") and some very basic rules for fair trade if they cannot agree a trade deal ("WTO terms"). So think of "WTO terms" as the chasm or valley between two countries who want to trade with each other. It's a long way down, because those are the best/worst trading terms that all countries say should apply where there is no other deal agreed. In other words, to improve on WTO terms, you need a "trade deal" between countries - like membership of the same regional or other type of free trade bloc (like the EU, for example) - or a "free" trade agreement between the trade bloc and a non-member country (like EU-Canada). The free trade agreement or treaty (such as EU membership) is the bridge, and WTO terms is the chasm that the countries are trying to get their goods and services across. Right now, the UK's goods and services are trundling to and from the EU across the WTO chasm via the bridge of EU membership. 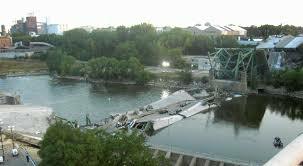 And a wise government would not remove the bridge of EU membership without building an alternative bridge over the WTO chasm. It takes 5 to 10 years to build a bridge over the WTO chasm. But after nearly 3 years of negotiation, Theresa May only managed to get until the end of 2020 - not long enough to build a new bridge, even if she had any real idea how to build it. So, May's deal and No Deal both involve the UK not so much "driving off a cliff" but "falling into the WTO chasm" as the bridge of EU membership collapses. The only way to avoid this is to revoke (withdraw) the Article 50 notice before it expires on 29 March and try to leave again later (if anyone can figure out how to do that safely).